CLOSING TIMES – The finish is CLOSED AT 5:30PM. Riders unable to maintain pace on the course should make personal provisions for aid and SAG to be available past these times. 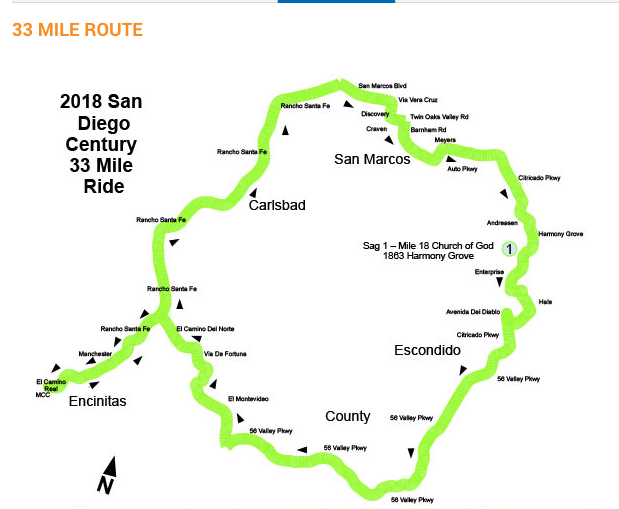 Riders for all courses may pick-up packets at this time. If you have not yet registered, in-person registration will be available on a first come, first served basis for available registration spots. Clothing and merchandise will also be available. Where: Revolution Bike Shop, 235 S. Coast Highway 101, Solana Beach from 3:00pm to 7:00pm. Parking is available at CVS Pharmacy, one block south of Revolution. When: 6:00am until 8:00am – Riders for all courses may pick-up packet at this time. If you have not yet registered, in person registration will be available on a first come, first served basis for available registration spots. Day Of Registration ONLY if spots are available. No guarantee on gifts or sizes for”Day of” entries. 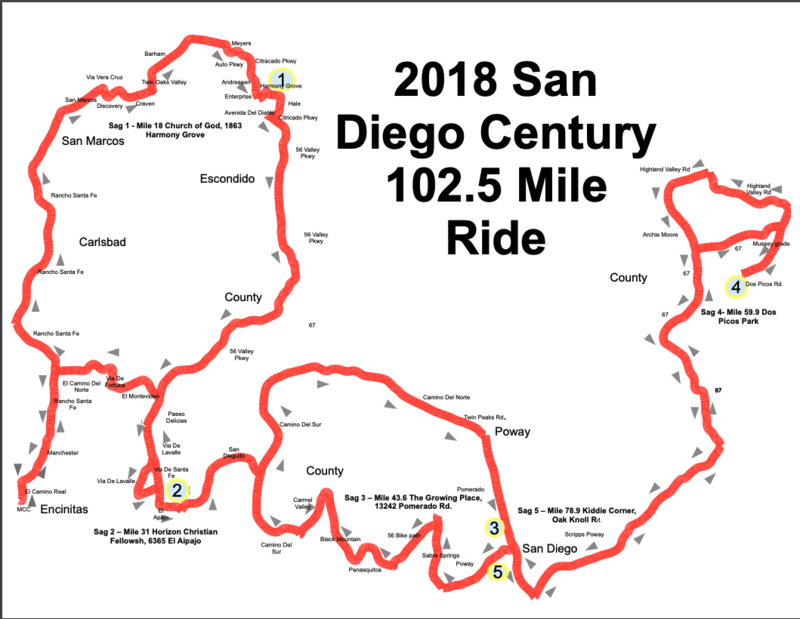 How was San Diego Century?